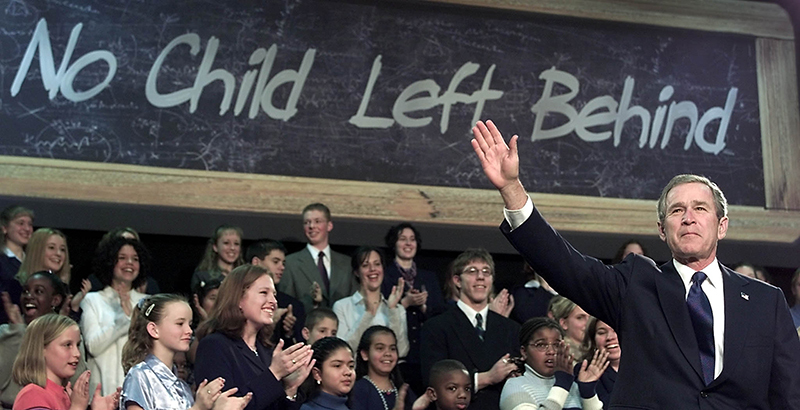 Sixteen years ago this week, the bipartisan creation of No Child Left Behind led to an era of raised expectations for all schools and students. Schools no longer could overlook students who were not reading and doing math at grade level. Nor could schools hide struggling learners behind the success of students who were mastering their courses. The results from the independent, annual state exams that NCLB required held schools responsible for the performance of all students. The next wave of school accountability must maintain that level of responsibility for every child, especially as states implement new accountability plans under the Every Student Succeeds Act. ESSA gives states greater authority, an opportunity for state leaders to show their seriousness about the achievement of all students. As states exercise their new authority, the federal government, watchdogging experts, and policymakers must ensure that states implement their plans with fidelity and support the education leaders who use accountability as a key tool to help all kids achieve. Student progress must be measured. And states must engage educators, parents, and the public to discuss the results. The two of us spent much of the past year interviewing leading educators about the future of school accountability. They all agreed that accountability allows us to organize and operate schools in ways that put kids first. 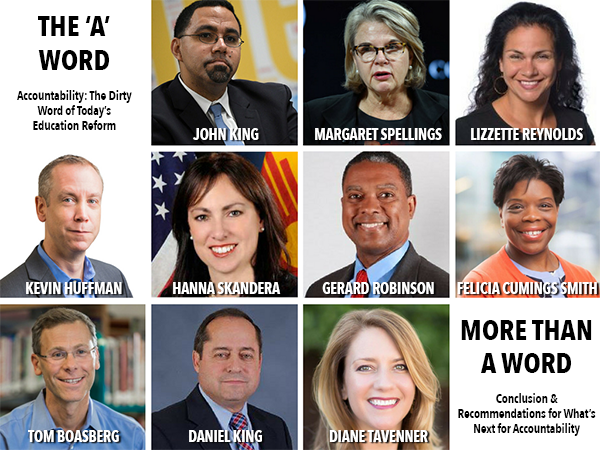 The themes emerging in The ‘A’ Word: Accountability—The Dirty Word of Today’s Education Reform form our list of three priorities to watch as states implement ESSA plans. This sounds reasonable and straightforward in theory, but in practice both the index and the reporting data often become incredibly complex and difficult to decipher. Anyone who created or signed off on a state accountability index must be able to explain what the system measures, why the data points matter, how they are weighted to determine the overall performance of a school or district, and whether all students are included. This leads to the second priority we are tracking: Are states using testing and accountability index data to drive appropriate supports and consequences for struggling schools? In some places, acting on the data could mean linking educators in low-performing campuses with those in high-performing ones. Hanna Skandera, former New Mexico education commissioner, explains that New Mexico has pursued this strategy as a way for principals and teachers to share successful strategies. Acting on the data also could mean giving incentives and supports for the highest-performing educators in a district to lead and teach in schools that need intensive support. And it could mean using research to make instructional decisions and get buy-in from educators and the public. In other places, better supports will mean giving students more personal attention. Diane Tavenner, founder and CEO of Summit Public Schools, reports that Summit schools use student progress data to form, track, and schedule one-on-one mentoring relationships. Summit has a goal of each child having at least one stable adult relationship, a critical element to its instructional design. Our third tracking priority is what state education agencies and leaders are communicating about their plan’s implementation and student progress. Are parents, educators, employers, higher education leaders, and others regularly updated on the results — and being asked for feedback? Are state agencies providing the sophisticated support many plans outlined? For better or worse, the state plans are largely completed. Now the real work begins: implementing, watchdogging, and supporting educators who use accountability as a tool to serve all kids. This job is difficult and messy. If done correctly, states can give students a greater chance of becoming better readers, writers, and problem solvers. This gives children greater agency in their futures. At the same time, America will be able to sustain what makes our country distinct and has accelerated the nation’s prosperity: educated citizens who provide for themselves and their families, create new ideas and opportunities, and engage in their communities. A society that meaningfully invests in all its youth will steadily strengthen over time, both morally and structurally.